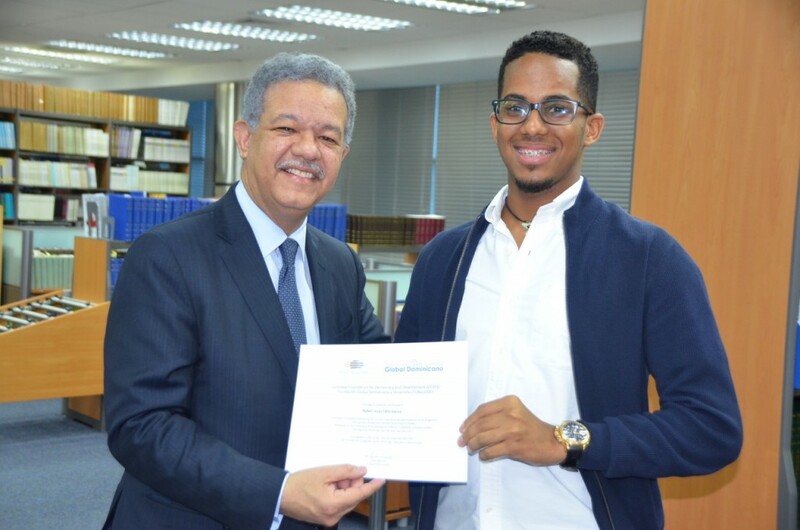 The group of Dominican students that participated in the last Global Dominican Academic Exchange (GDAE) at the University of Pennsylvania (UPENN) from April 9 to 16, 2017 received their participation certificates from Dr. Leonel Fernández yesterday. Also present at the event, which was held at Fundación Global Democracia y Desarrollo (Funglode) headquarters in Santo Domingo, were Marco Herrera, executive director of Funglode; Yamile Eusebio, interim co-executive director of Global Foundation for Democracy and Development (GFDD); Rocío Billini, director of academic exchanges at UASD and Tomiris Silfa, assistant administrator for academic exchanges at UASD. GDAE is a collaborative effort between InteRDom, a program of GFDD/Funglode; the Ministry of Higher Education, Science and Technology (MESCyT, for its acronym in Spanish) and the University of Pennsylvania. During the event, the youngsters shared their impressions of the experience and lessons from the week-long program, during which they attended classes alongside students from the Dominican student association Grupo Quisqueyano, which received the visitors as its guests. 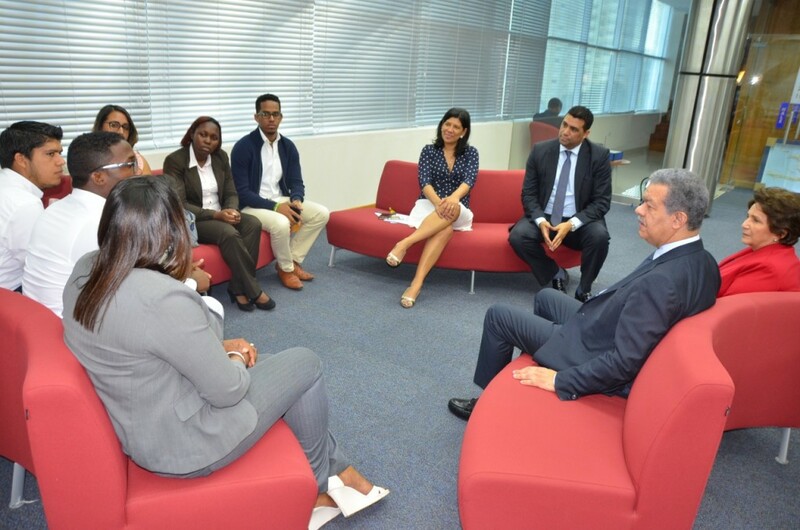 The Dominican students highlighted the impressive integration of technology in the classroom and the preparation by professors during classes. During the program, the group also participated in a series of activities especially designed to put the Dominican students in contact with UPENN undergraduates, professors and other student associations and to familiarize them with Philadelphia’s culture and local places of interest. 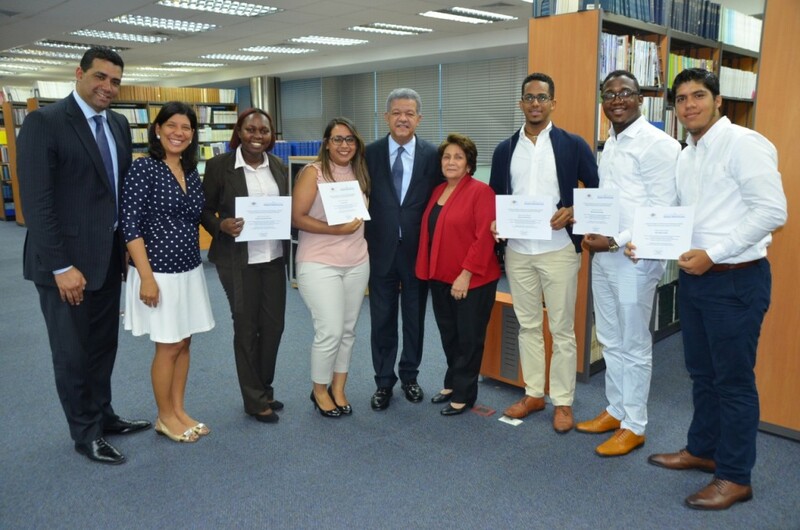 The students expressed their interest in carrying out a similar program, in reverse, in which students from UPENN could travel to the Dominican Republic to be received by their Dominican colleagues. Thus, both groups could gain a better perspective of academic life in one another’s countries and integrate themselves into one another’s culture. The participants indicated that the experience sparked their interest in the diverse topics that exist in the American curriculum and motivated them to apply to other international exchange programs. GDAE is currently calling law students and young Dominican professionals to apply to the next Global Dominican Academic Exchange being held through the Summer Institute in Transnational Law and Practice, a rigorous two-week-long academic certification program. The institute was developed by the University of Washington School of Law- one of the world’s leading centers for innovative teaching and research on international, comparative and U.S. law. 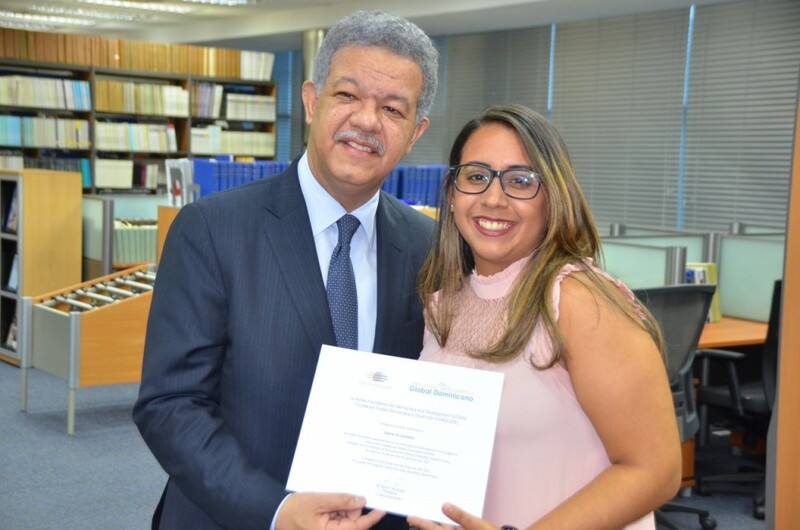 The program will take Dominican law students and young professionals to Seattle, where they will participate in an educational program that will allow participants to acquire a solid foundation in the structure, culture and thinking of the U.S. legal system and practice through a variety of courses, seminars and social and networking activities. 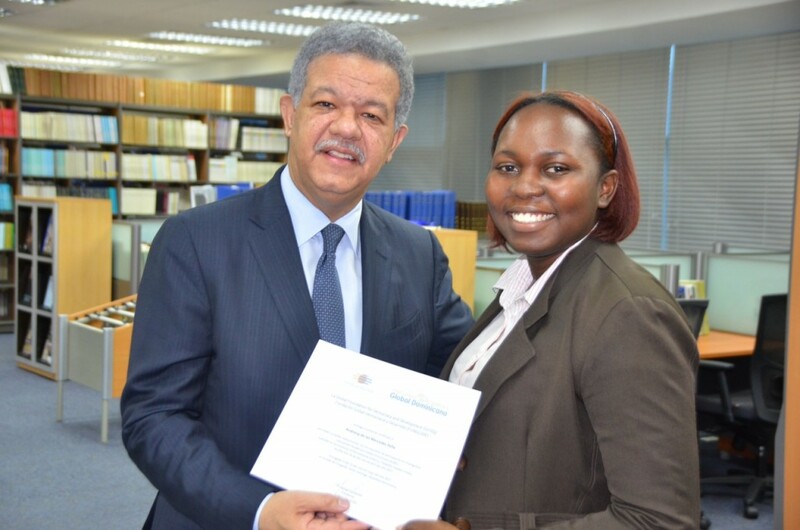 Dominican participants will join more than 60 law students from countries all over the world who are jointly participating in the program. The Global Dominican Academic Exchange is an initiative of the Global Foundation for Democracy and Development (GFDD) and its sister organization in the Dominican Republic, Fundación Global Democracia y Desarrollo (Funglode), and a branch of its internship, research and studies program, InteRDom. 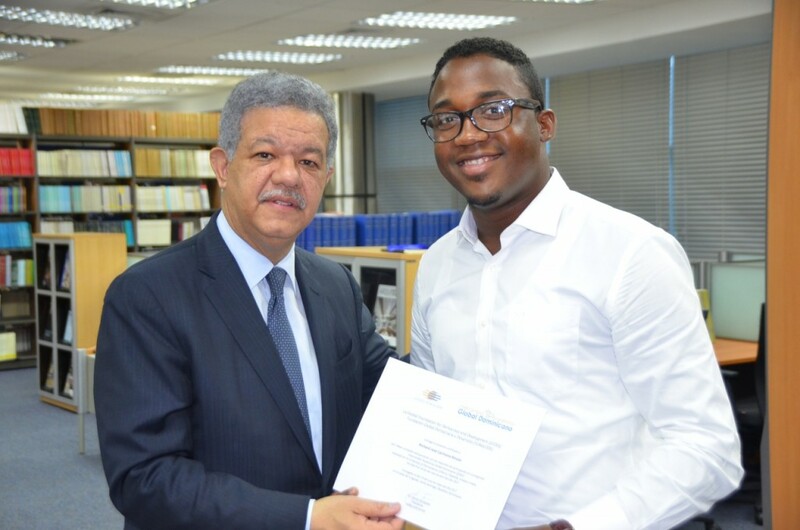 The program aims to introduce Dominican students to the American style of liberal arts education and encourage dialogue between Dominican students and their Dominican-American counterparts attending these institutions, thereby encouraging and inspiring partnership and entrepreneurship initiatives which will foster innovation and stimulate Dominican economic development and international understanding.